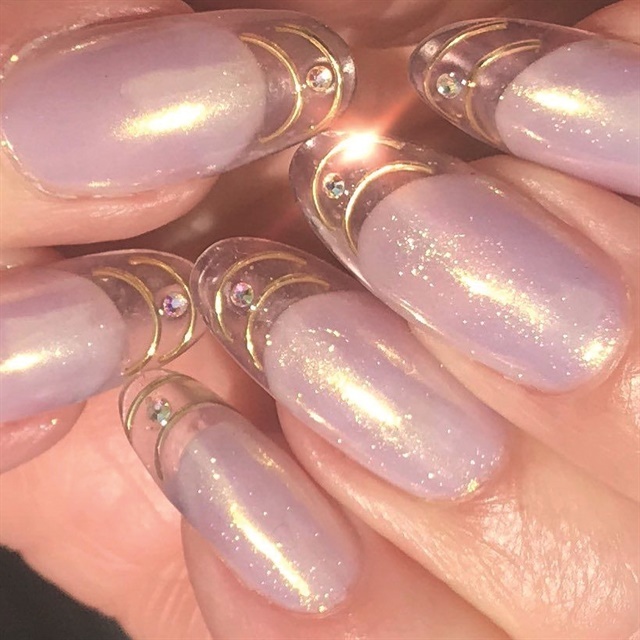 What’s in store for nails in the year ahead? We’re taking a fresh look at the trends for 2019. This year’s trends signal a return to classic and clean styles, with an emphasis on wearability and approachability. Of course, there are a few exceptions…We can’t be expected to behave ourselves all the time. Well said. 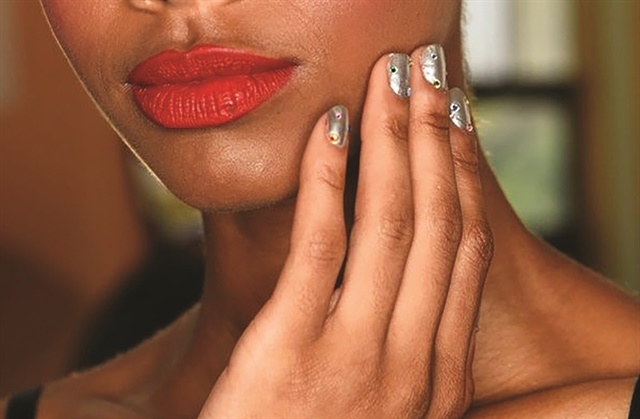 Here are a few ways to rise above the accent nail this year. We all know it…we’ve all done it… The French manicure. It’s a polarizing subject, for sure, with some finding the look dated and snoozy. 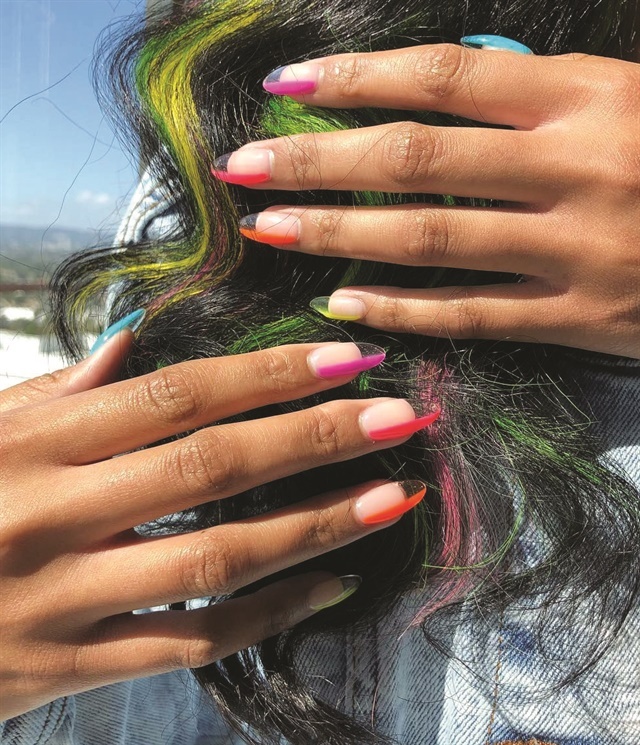 To keep them from taking you back to the 1990s, update French styles with modern twists like colored tips, a matte finish, or pigment effects. 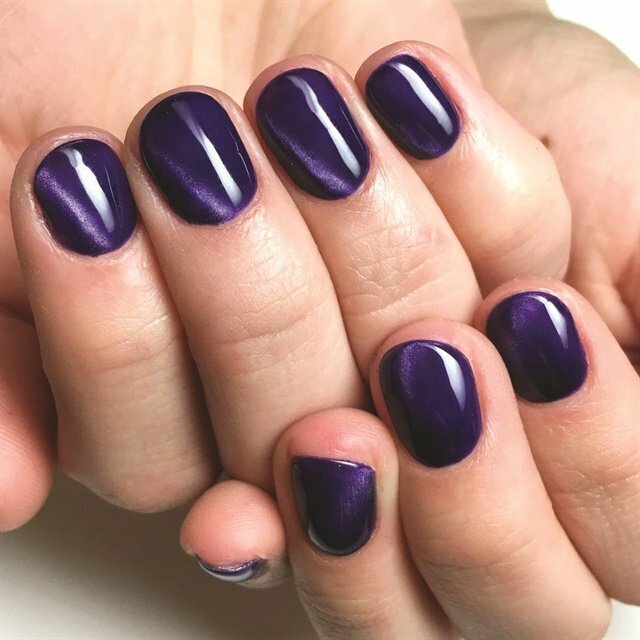 Ali notes that adding chrome to your French manicures can be a good way to update them, particularly for clients who prefer a simpler look. “It’s a classic look that most people love to wear,” she says. 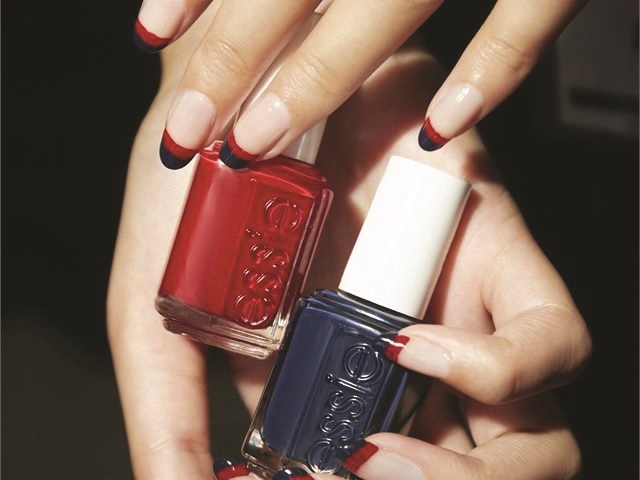 Tracey Reierson, director of education for Young Nails, suggests mixing French elements with other styles. “Look for French to be incorporated into sets: a couple of smile lines, a couple of glitter presses, and some full color — all on the same set.” Because who doesn’t love a good mix and match? 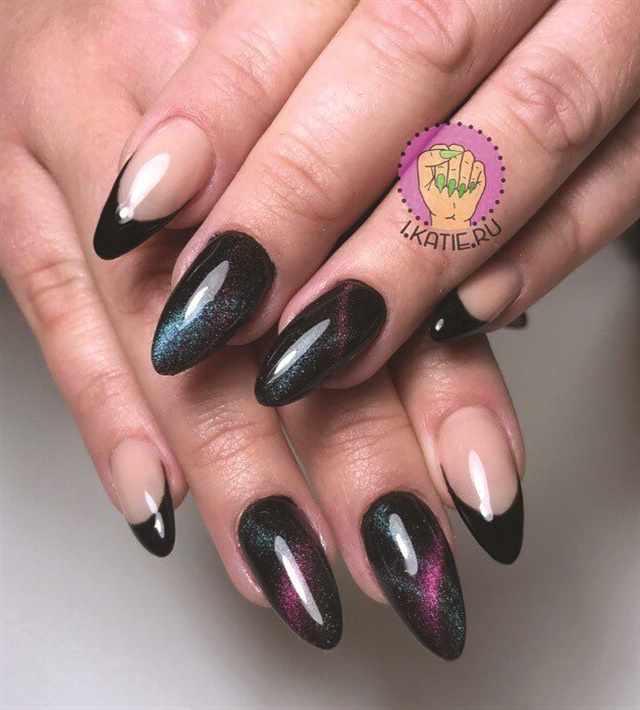 From negative space to treasures encapsulated in clear enhancements to tinted gel shades, there are a number of ways to get in on this trend. Just be sure to keep them totally transparent for maximum impact. 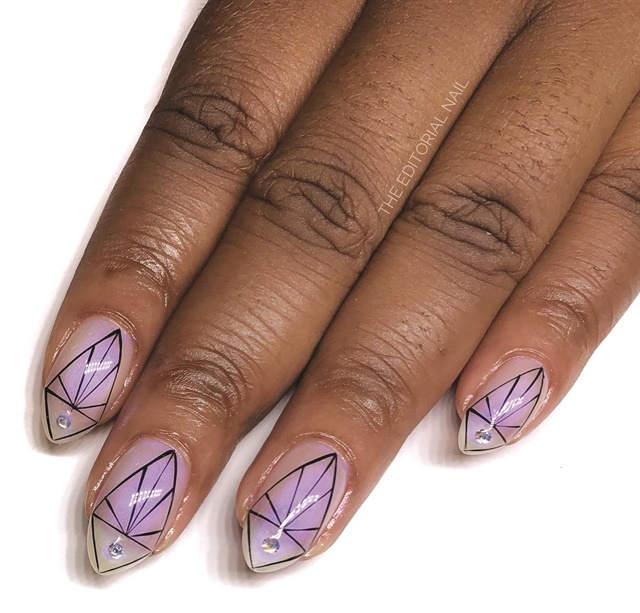 “These trends will continue to break the mold of traditional extensions, with more and more nail techs adopting clear nail tip enhancement methods,” predicts Ashley Gregory, session manicurist and founder of The Nailscape. Ready to take this trend to the next level? 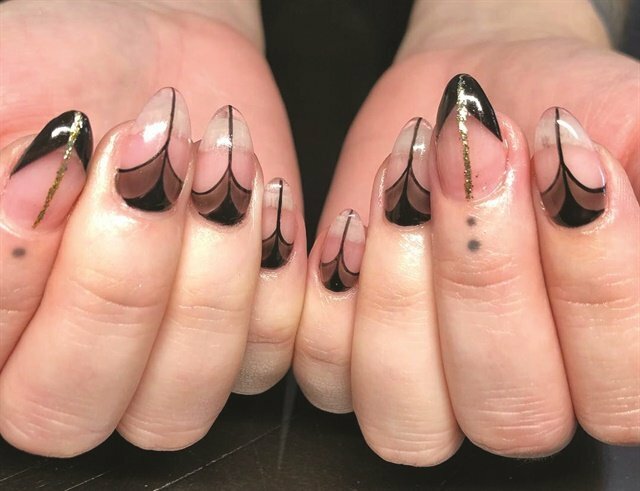 “Don’t be afraid to play with transparency,” says NAILS’ Next Top Nail Artist Season 5 winner Valérie Ducharme, who suggests mixing transparent effects with matte-finish details for a textural contrast. 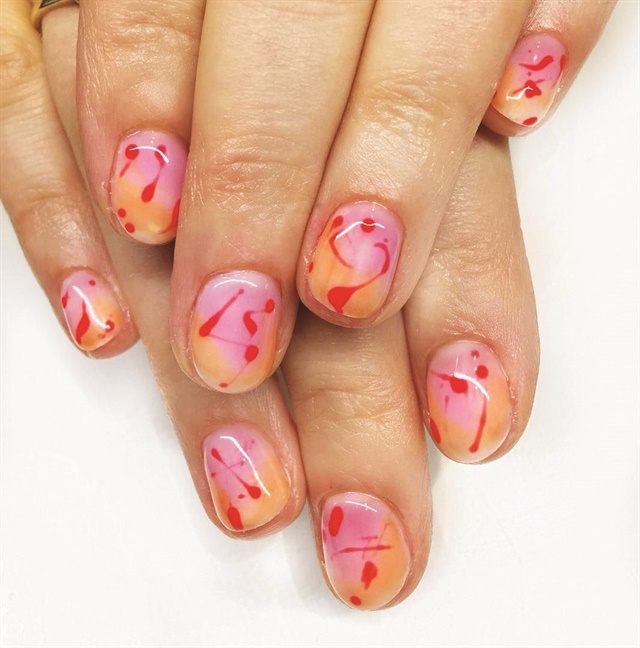 Gracie J of The Editorial Nail believes that more glass French manicures are on the horizon. “This look is still catching on, and I’m eager to see what everyone will do to take it to the next level.” Bonus points for combining two trends in one set! Ready for a throwback year? 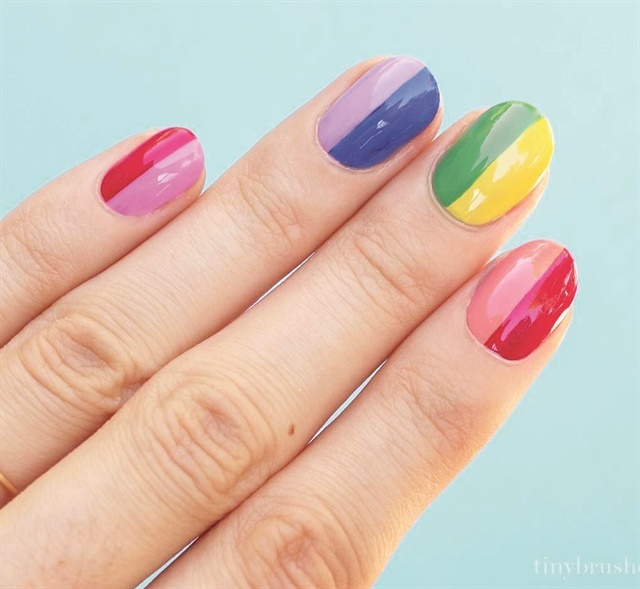 Experts predict that for your nail art-obsessed clients, the forecast is retro! Arnold foresees ’80s styles will be a huge hit, particularly for summer: “Kick it up with bold, clashing, rebellious colors, artfully painted in graffiti, kimono, or bold ’80s-inspired Ziggy Stardust patterns.” Opt for modern versions of DayGlo shades to keep it less tacky and more fashionable. Make sure to pay attention to small details that can elevate the look. For example, play with pattern sizes, create depth by layering sheer or tinted shades, or mix the throwback patterns with modern elements. No need to repeat history when you can improve on it. 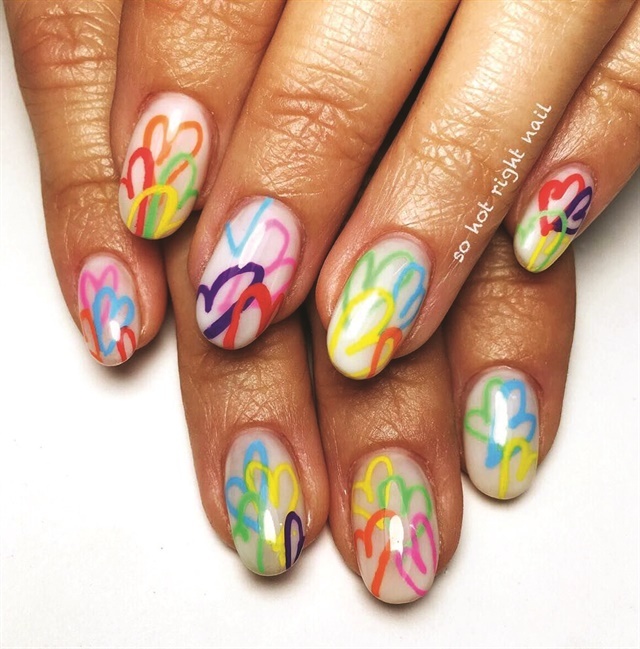 In 2019, the focus for nail length and shape is wearability. 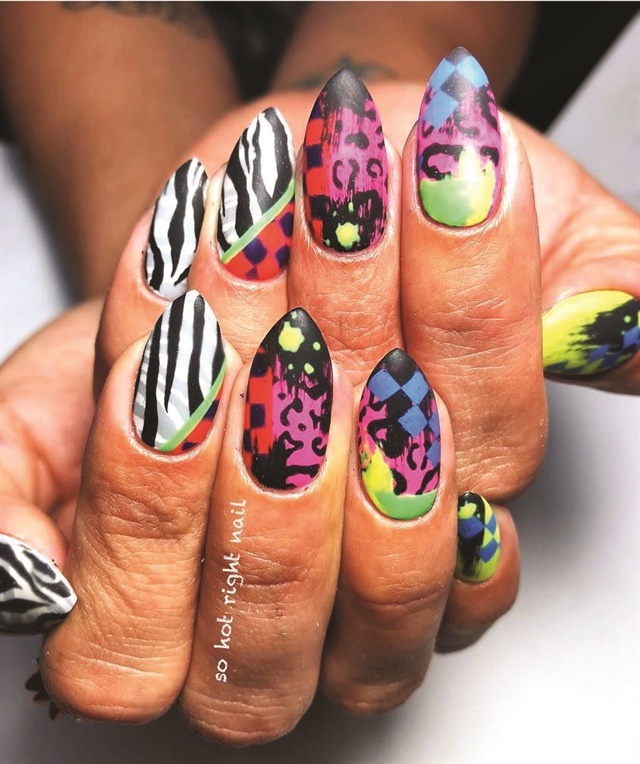 Winnie Huang, CND brand ambassador and NAILS NTNA Season 3 winner, breaks it down: “2019 is all about being functional, yet fashionable. 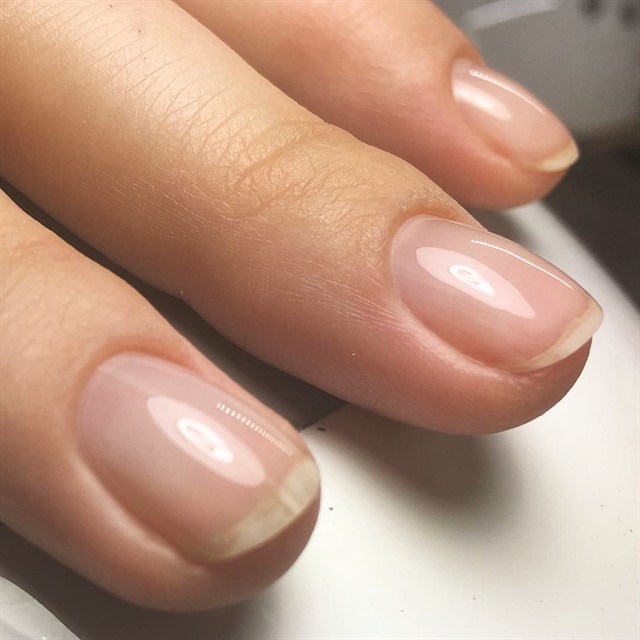 Medium almonds are easy to maintain, while looking chic and stylish.” Ducharme adds, “The trends are shorter and more natural — an oval shape, not too round or too pointed.” This style is sure to be a win for women on the go, and also easily achieved by women who prefer to rock a natural nail. Beyond wearability, natural-styled nails have greater style-staying power. 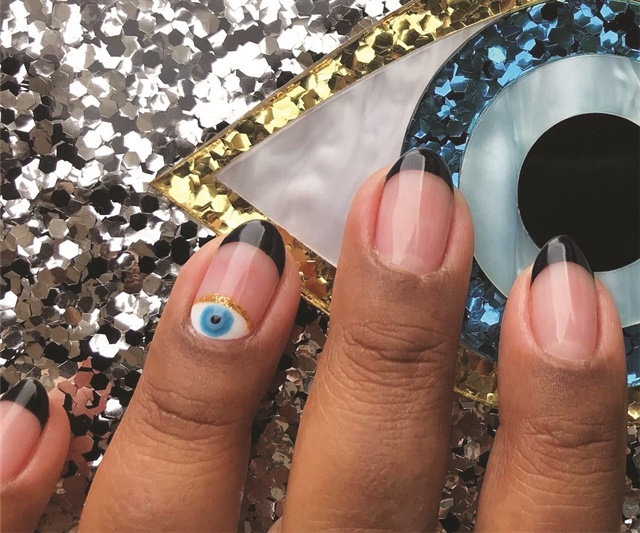 Shapes like oval will always remain relevant, says OPI creative director Suzi Weiss-Fischmann. 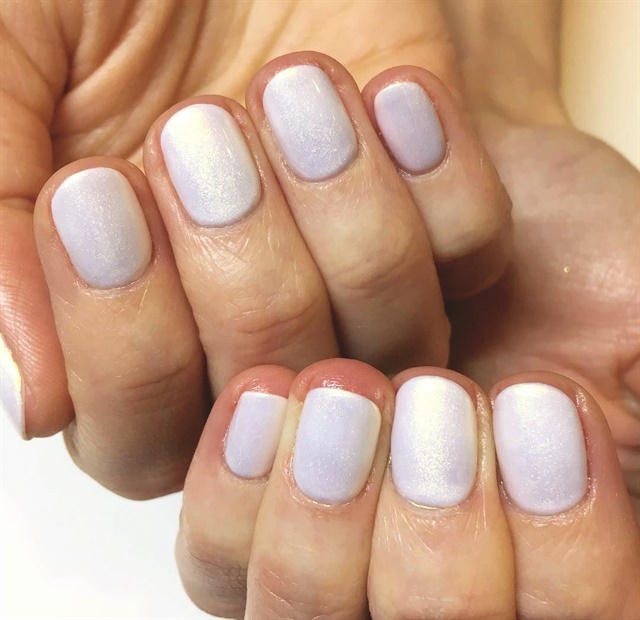 For clients who don’t go for nail art, iridescent and pearlescent shades will be the new neutral in 2019. “They’re an echo to the halo and aura chrome trends of 2017 and 2018, and they’ve been on the cusp of popularity for the past few years,” notes Gregory. 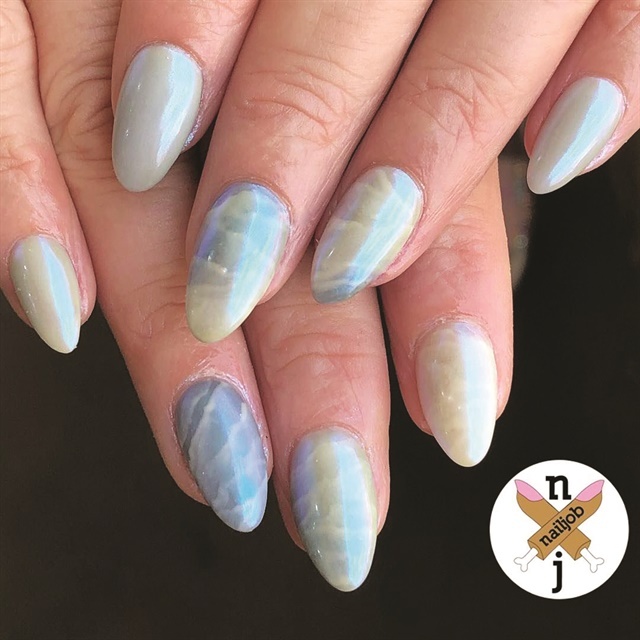 When your clients are ready to toe the waters of nail art, Gracie J recommends iridescent base colors with minimal geometric designs. 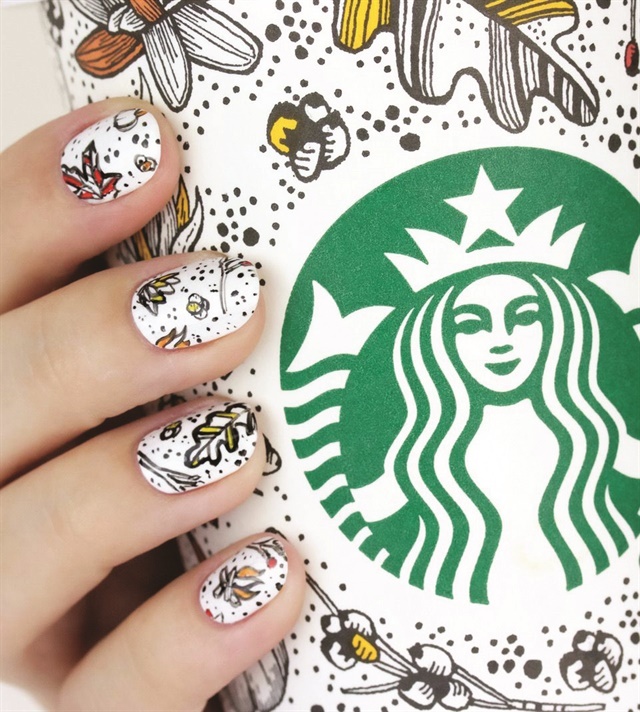 It gives the manicure a little extra something without being too over the top. The personalization trend is not just for product type. “The trendiest techs will be giving clients a true custom experience with blended, layered shades and effects that make their service completely one of a kind,” says Gregory. Clients will appreciate the one-of-a-kind approach, as they want to feel that their beauty products and services are working for them, not the other way around. Take the time to address their needs and you’ll have a loyal client for life. 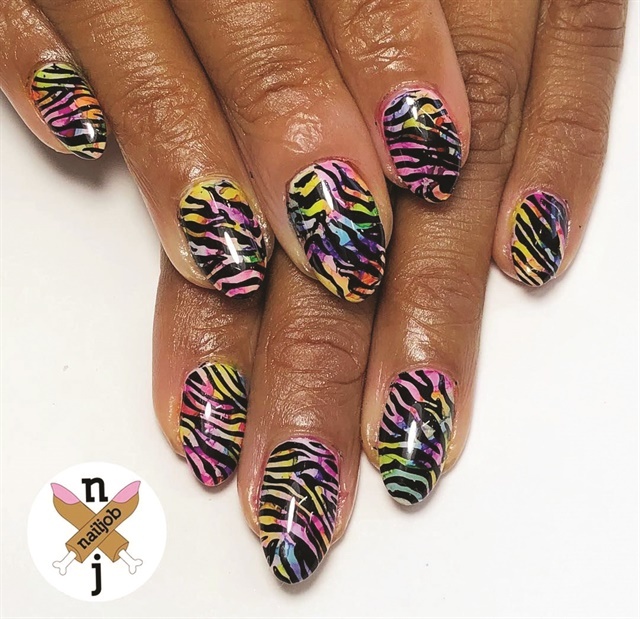 Sarah Waite is a licensed nail tech and the creator of the popular nail art website www.chalkboardnails.com. Follow her on Instagram @chalkboardnails. Ventilation systems come in various types, sizes, and efficacies.